22 WMR is a misunderstood cartridge but we want to change that, especially considering its remarkable versatility. 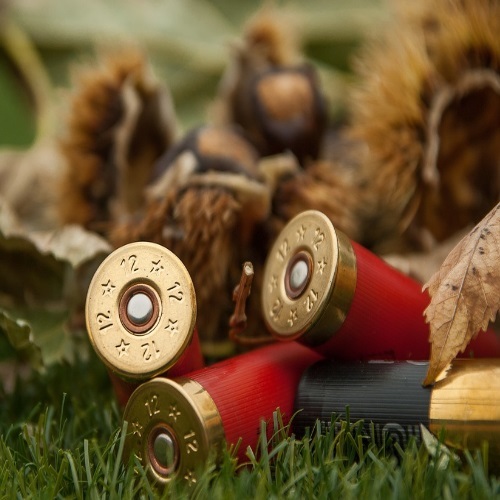 The powerful round can be seen all over the world, particularly among hunters, in a variety of firearms. In addition to all sorts of rifles, 22 Winchester Magnum Rimfire is now available for several pistols and revolvers. 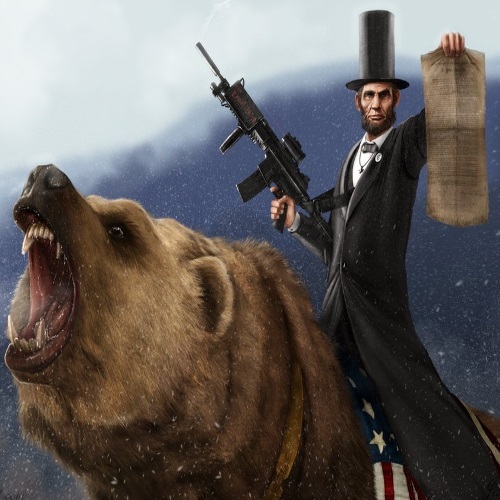 The American round was prized for its ability to cleanly take down small-medium game at up to 125 yards. So let’s get to it and take a closer look at the popular rimfire cartridge. 22 Winchester Magnum Rimfire, also known as 22 Magnum, is a traditional American cartridge that is seeing a major comeback. Winchester began marketing the rimfire cartridge back in the 1960’s, though Marlin had the first rifle capable of chambering the new round. Nevertheless, Winchester soon manufactured the Model 61 to handle their new proprietary ammo, followed by models from Ruger, Savage Arms, and Smith & Wesson. 22 WMR quickly became a popular cartridge for hunting because it provided shooters with cleaner kills, due to its high kinetic energy output. 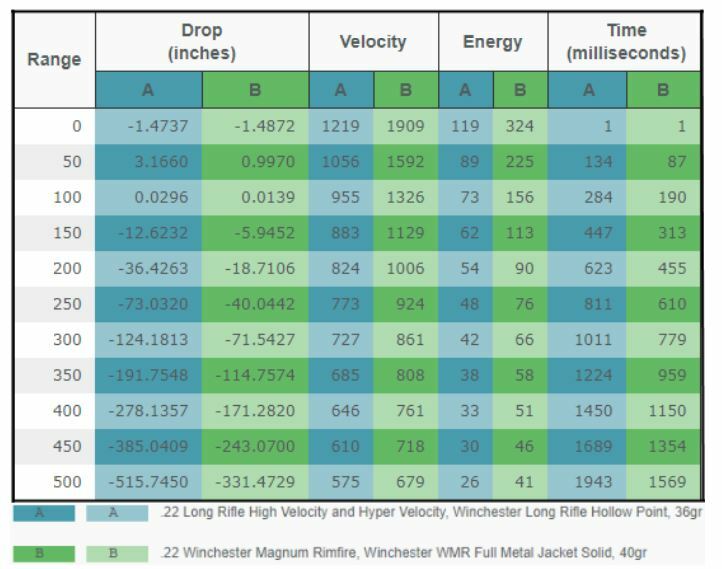 In fact, Winchester initially loaded their 22 Magnum cartridges with 40 grains to achieve around 2,000 ft/s velocity. However, most 22 WMR is now loaded with up to 50 grains, resulting in velocity up to 1,550 ft/s and muzzle energy up to 300 ft.lbf. People tend to confuse 22 WMR with 22LR but there are several key differences. While 22LR is the most common round in the world, 22 Magnum is making a big comeback. While each of these cartridges can be found in both handguns and long guns, their ideal purposes are quite different. Though 22LR is often used for recreational shooting and pest control, 22 WMR is a popular choice for small-midsize game hunting and home defense. Winchester utilized their 22 WRF (developed in 1890) cartridge as the parent case for 22 WMR but added a bit more length to reach 1.35”. On the other hand, 22LR can be traced back to the 1880’s and is noticeably shorter and usually lighter. 22 WMR was initially only available for single-shot, bolt-action, and repeating rifles until the mid-1990’s. Eventually, a few newcomers to the market debuted semi-auto pistols chambered in .22 Winchester Magnum, including Kel-Tec and Grendel. Since then, some of the biggest names in the industry have introduced 22 Magnum pistols. Let’s take a closer look at some of the best models available. Kel-Tec is one of the most revolutionary gunmakers in the industry and the PMR-30 is just one of their many innovative designs. The hybrid blowback action pistol may be unconventional, but it has garnered a pretty solid reputation. In addition to their steel-polymer hybrid construction, the PMR-30s feature long accessory rails, 30-round double-stack mags, and are even pre-drilled for mounting optics. Volquartsen is a family-owned business that has been producing top-shelf firearms since the 1970’s and continues to impress. Although they are still somewhat obscure, they have done wonders in perfecting semi-automatic pistol accuracy. This dedication to refining firearms is best observed with their Scorpion and its state-of-the-art design and performance. In addition to their factory-installed Hogue grips, these 22 Magnum shooters also feature competition bolts, Picatinny rails, and Type III hard anodized finishes. • Weight: 3 lbs. 12 oz. 22 Magnum revolvers are becoming more and more popular especially now that more people are relying on wheel guns for their CCW. Some of the biggest names in the industry now produce 22 WMR revolvers so there’s no shortage of options to pick from. In addition to home defense, many Americans are using these powerful firearms for a variety of hunting purposes. The 22 WMR Ruger is one nifty little snub nose revolver that is taking the market by storm. Besides for their highly ergonomic Hogue grips, they also feature friction reducing cams, stainless steel cylinders, and high-strength PVD finishes. Overall, LCR owners can expect smooth trigger pulls, reduced recoil, and remarkable handling and durability. Smith and Wesson has been producing incredible firearms for over 150 years and has been a staple in the 22 Magnum niche for years. 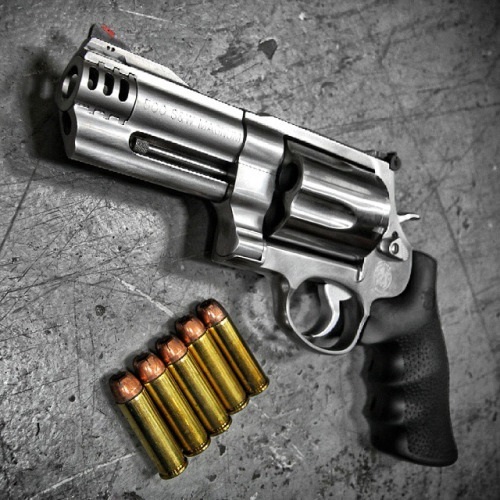 While S&W may have a massive selection of firearms in their arsenal, they are a core component in the revolver industry. Since the 1950s, Smith and Wesson J-Frame revolvers have been making noteworthy sales and they continue to impress far into the 21st century. The Model 351 C is one of these fine firearms, notable for its hammerless design, astonishing durability, and compact build. 22 Magnum Rifles go back several decades but have come a long way since the Marlin Model 57M. Nowadays, you can find a wide variety of long guns from a small selection of premier manufacturers. In addition to mainstays like Smith & Wesson and Winchester, Henry Arms has become a go-to for 22 WMR lovers. In fact, Henry Arms boasts a pretty sweet collection of traditionally-designed lever-action rifles. Although it’s hard to pick just one, I can’t help but love the Golden Boy lever-action. Besides for their stunning Brasslite receivers, these Henry rifles also feature octagonal barrels and have even been voted “Gun of the Year”. Although 22LR is far cheaper and more available than 22 Magnum, the latter is growing more every day. Keep in mind that the Winchester cartridge is more common in places where hunting is popular since that is its primary use. While 22 WMR rounds were almost exclusively built with flat bullet noses, many ammo manufacturers are now adding polymer plastic tips to their cartridges. Nevertheless, many shooters prefer to handload their 22 WMR rounds to their precise specs. Although many 22 WMR fans opt for Winchester’s ammo, there are a few other noteworthy brands including Hornady, CCI, and Remington. Overall, we can now see that 22 WMR has had an unusual road to get to where it is today, but the future looks bright. Between rifles, pistols, and revolvers, there is no shortage of 22 Magnum firearms to choose from, but that wasn’t always the case. Nowadays, these rounds are growing in popularity among hunters and home defense shooters, but some folks are even introducing it into competition shooting. CAN YOU FIRE A 22LR IN A 22WMR GUN? Don’t forget to tell us about your favorite 22 Mag firearms and ammo in the comments!